Each workout, you're provided with a clean towel. Filtered water is available via a bottle-filling station or water fountain in the studio. After class, restore using our foam rollers and stretching area. STRIDE has two showers, fully outfitted with fresh towels, bodywash, shampoo, conditioner and a hair dryer. STRIDE has partnered with Polar to provide heart monitoring technology to maximize your training. While listening to your body is important, using a heart monitor to collect health data during your run can be a highly effective tool to accomplish your goals. If you don't want to wear a heart rate monitor, you can also opt out. Music speaks to the body, mind, and soul! 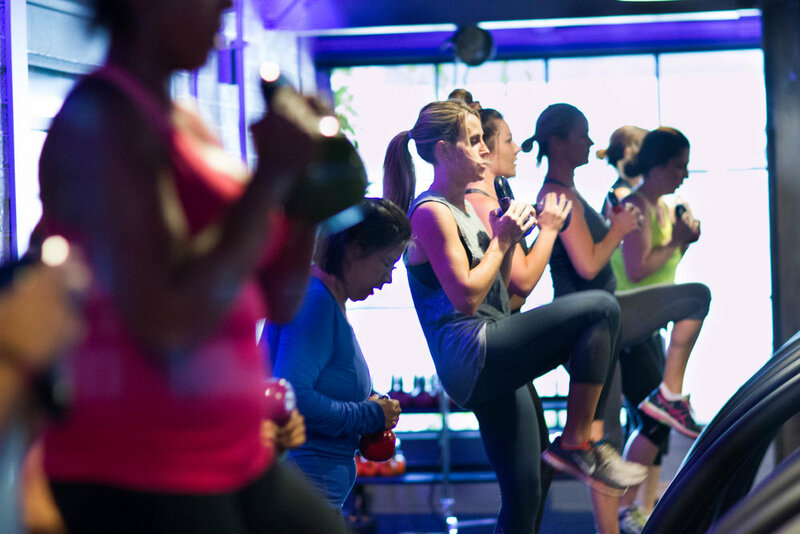 Our instructors use high energy playlists to drive runners beyond what they thought possible. Combining music and running makes challenging workouts feel less difﬁcult and more enjoyable. We have created a community where all levels of walkers and runners and anyone with a desire to move can be together. We all have an inner athlete and need a starting point. At STRIDE our goal is to ﬁnd that warrior and overcome obstacles. Running has changed our lives and we want everyone to experience a transformation. No one is left behind. STRIDE proudly offers Woodway treadmills that feature state-of-the-art technology that provides the user with a running experience unlike any other. The Woodway 4Front was designed to mimic the feel of running outdoors and to provide the user with a dynamic, low-impact workout every time. 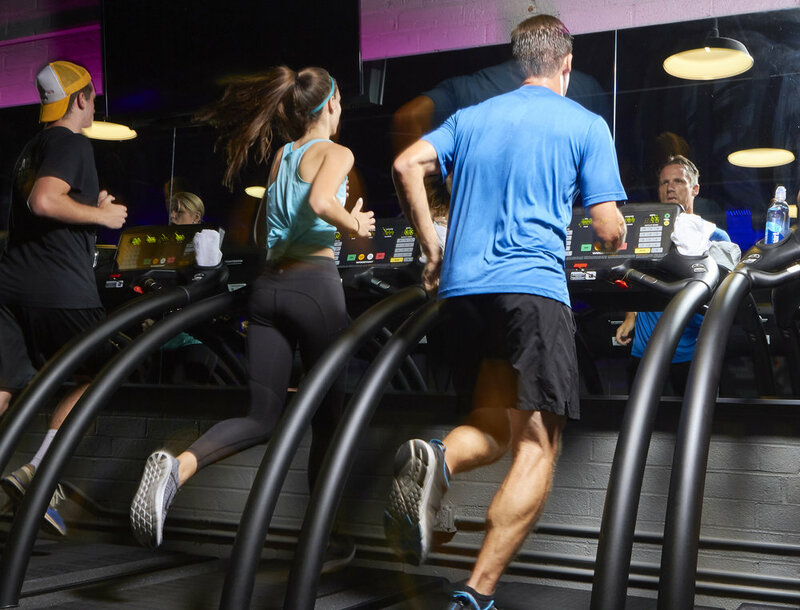 The treadmill belts are comprised of numerous individual shock-absorbing slats that have been scientiﬁcally proven to reduce harmful shock to joints, muscles, and connective tissue, a luxury you won’t experience on any conventional treadmill.